Entering the 21st century this far, discourses of adat communities is resurfacing. They are presented because the peoples‟ basic rights and ownership over agricultural resources are disturbed and trembled by the greediness of the ruling regime. In the midst of their powerlessness they are expelled from their socio-cultural attachment, and even more they are wiped out from the population map of a nation. But every regime always bring their own interpretation that leads to the elimination of the recognition of indigenous peoples. 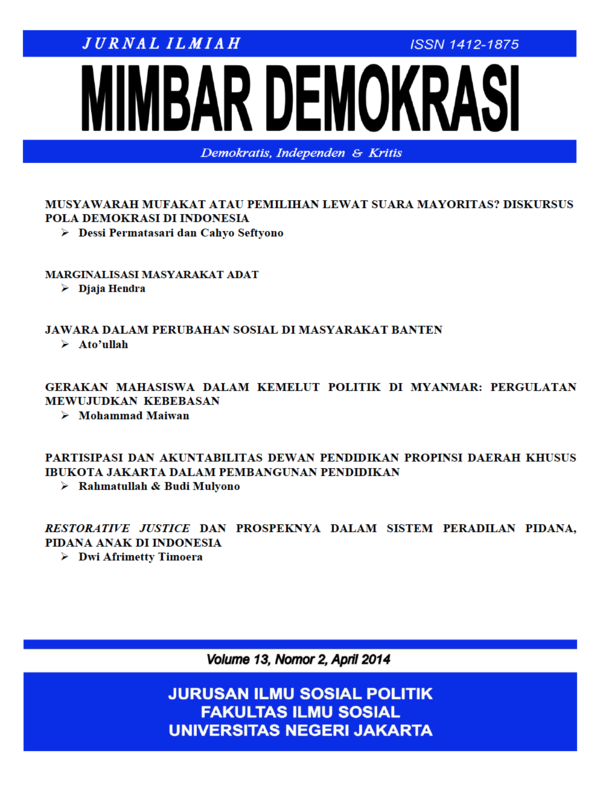 Transition of regime to Indonesians does not necessarily change the mentality and the culture that have been firmly embedded (embeddedness), but rather the new regime acts, without any embarrassment and awkward feelings, as successor in the marginalization of the adat communities and inherently their agrarian resources. Actually it is a "misguided thought" of the regime over their own adat communities. The implication therefore indicates that it is a necessity that the existence of indigenous peoples means, at the same time, the recognition of social relations in the society, the nation and the state.